For the past two years, choreographer Gerardo “Geri” Francisco has been preoccupied with a popular Filipino legend and how he can translate that story into dance. A mythical bird with a healing voice, the three princes who each embark on a quest for that bird to cure their ailing father, a horde of creatures in a mysterious forest… these images and more have filled his imagination, all struggling to come out. Finally, after a seemingly interminable wait, Gerardo Francisco’s Ibong Adarna is ready to spread its wings. The show is poised to have its world premiere on August 26 at Aliw Theater, and Geri admits to feeling a mixture of excitement, nervousness and anticipation as the date draws near. For the Ballet Manila principal dancer and resident choreographer, Ibong Adarna is the fulfillment of an unexpected dream. “This is my first full-length ballet, kaya ibinubuhos ko na talaga lahat (that’s why I’m giving it my all),” enthuses Geri who made the libretto and choreography, and pushed for the use of original music by Diwa De Leon, new costumes and set design by Make it Happen Workshop and original verses by Angela Blardony Ureta to present the story like it has never been seen before. He had initially proposed making the Ibong Adarna ballet back in 2015. When artistic director Lisa Macuja-Elizalde later told him to go ahead and do it, Geri was daunted but nevertheless accepted the challenge. “Kung hindi ko gagawin ito, kailan pa? (If I don’t do it now, when will I do it? )” he muses. The prima ballerina feels Geri is ready to take on this undertaking, having already done one-act works for the company such as the enthusiastically received Pista and Maynila ni Juan, collaborations with different choreographers such as the Lola Basyang stories, Kutitap and Alamat: Si Sibol at Si Gunaw and award-winning dance pieces like OFW and Ili-Ili. 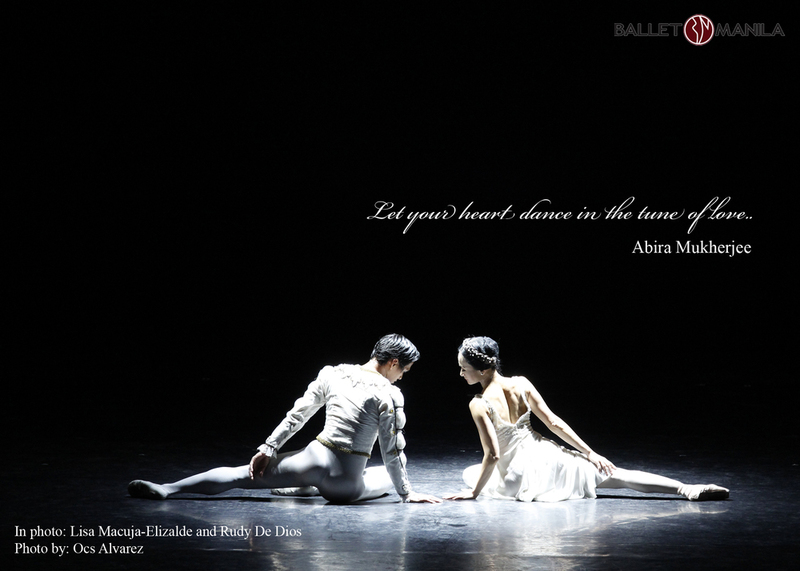 But the story, he points out, lends itself to being a good ballet as well. Having the elements of adventure, sacrifice and betrayal, and the enduring triumph of good over evil, should also make it a favorite among audiences. The Ibong Adarna has many versions, with the original running long and extending to the stories of the princes. Geri chose to concentrate on the search for the fabled bird up to the point when it heals the king, which becomes cause for celebration in the entire kingdom. What was important to him was to infuse the show’s various aspects with local touches. In the movements and the music, he was inspired by indigenous sounds, flavors and accents. He wanted verses that would recall Filipino literary forms. 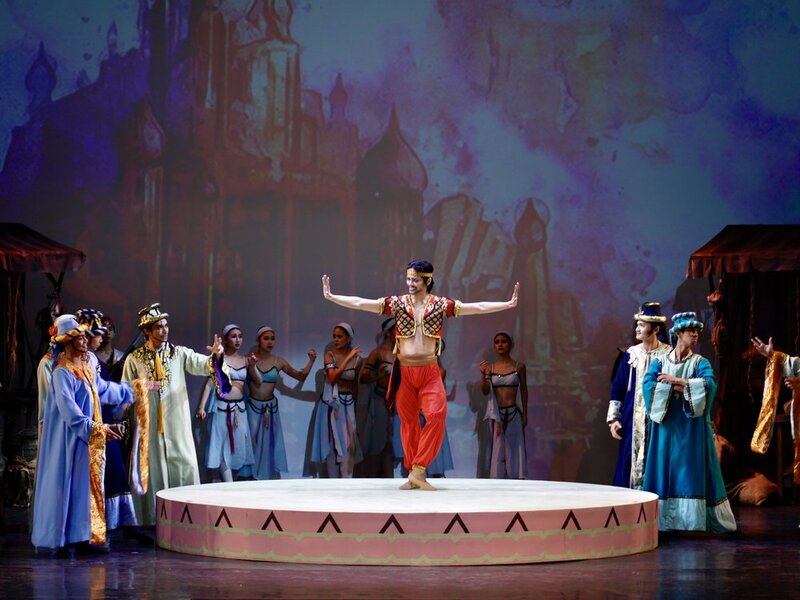 The ballet opens with a ten-minute sequence that introduces the audience to the lead characters, notably the dancing and singing Ibong Adarna. BM principal dancer Katherine Barkman and soloist Abigail Oliveiro alternate in the lead role, while West End musical theater actress Gia Macuja-Atchison is their singing counterpart. Geri says it is the movement and the transformation of the Adarna that posed quite a dilemma for him but which he has managed to address. Without giving away too many details, he says that with the use of movable platforms he hopes to be able to present the Adarna in its full glory of multi-colored feathers. “Ito ‘yung hahanapin, kaya hindi ko siya talaga minadali. Magawa ko lang ito, that’s it. Basta, kailangang abangan (This is what people will look for, that’s why I didn’t rush it. If I could do this, that’s it. What I can say is, it’s a must-see),” he promises. Like many artists, Geri admits to encountering blocks along the way. There have been instances when he would draw blanks. What he would do is just let those moments pass until inspiration strikes again. One remedy, he says, is to cook which is another passion of his. Indeed, Geri is known to whip up gourmet meals for his family, with the photographs of the dishes posted on Facebook and hashtagged #geriskitchen. Perhaps, it is an indication of how Ibong Adarna has taken over Geri’s life when even the mere act of slicing vegetables could get him unstuck. Once, looking at the onions he had just chopped, he was able to see a good formation that he could execute in his choreography. “Minsan masakit sa utak, kaya kailangan nang ilabas (Sometimes, it hurts the brain to think about it, so you just have to get it out),” he laughingly shares. Geri is known to carry a notebook and pen with him wherever he goes, particularly when he heads for Starbucks for one of his creative immersions. While listening to the music, he thinks of steps, draws formations and makes notations on the paper before him. “Kahit two minutes lang ‘yan, ginagawa kong ganyan kasi mas nakakapag-isip ako. Marami na akong ganito. Ako lang ang nakakaintindi (Even if it’s just two minutes, I do it like that because I’m able to think it through more clearly. I already have a lot of these. I’m the only one who can understand it),” he chuckles, showing the pages filled with dots and dashes that make them appear like some sort of Morse code. For Geri, a choreographer must be open to exploration – whether it be in music, movement or visual elements – as these can serve as a basis or inspiration for a future work. He also enjoys being sent to festivals abroad so he can learn from classes that are usually offered as part of these events. In the past year, he went on two trips to China where he was able to pick up fresh inputs from his foreign counterparts. Geri counts Davao-based choreographer Agnes Locsin among his influences as a choreographer. He had undergone workshops under Locsin while still a member of Dagyaw Theater and Dance Company in his hometown in Iloilo. Locsin in fact had created a dance about the epic Hinilawod for Dagyaw, which would become its trademark piece. Though he enjoys an easy rapport with the dancers, he stresses that rehearsals should be always be treated seriously. “My motto is, every rehearsal is a performance. Hindi pwedeng dahil rehearsals lang yan, magre-relax ka. Kasi kung ano ‘yung ni-rehearse mo, ‘yun ang lalabas sa show. Hindi pwedeng mag-magic ‘yan (You can’t relax just because it’s rehearsals. Because whatever you rehearse, it’s what comes out in the show. It can’t be done through magic),” he asserts. 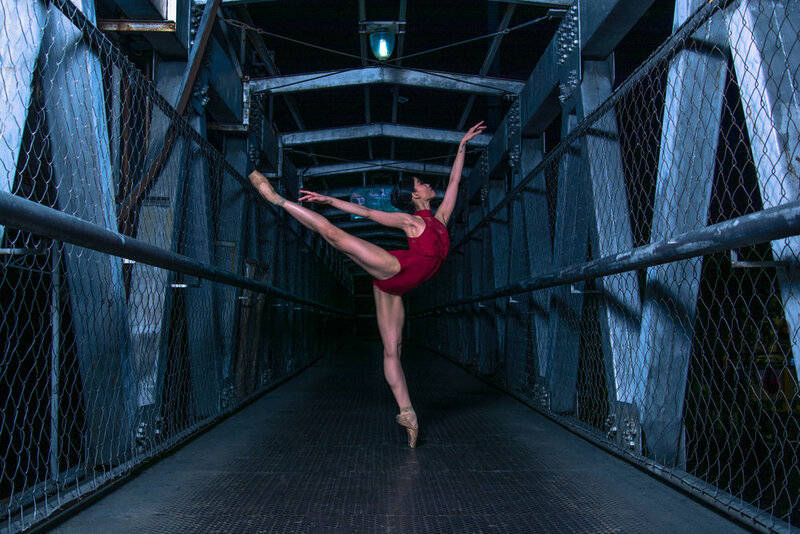 Geri acknowledges that not all dancers can become choreographers, and that some dancers are actually more gifted as choreographers. But for himself, he realized early on that he had a knack for putting movements together. At school, he remembers being asked to do short numbers for programs. But he didn’t seriously think of it as a potential vocation until he was invited to choreograph for participants in the city’s Dinagyaw festival and who ended up winning. Steeped in folk dance and contemporary dance, he hesitantly signed up with Ballet Manila in 2003 because he was not keen on ballet. Besides, he says, it was quite intimidating to join the group that had tall male dancers. But after attending one class with BM, Geri knew immediately that he would improve as a dancer so he shrugged off his apprehensions. He has learned to love dancing the ballet classics alongside the original, contemporary works made for the company which it is also strong in. That initial year with BM was among Geri’s busiest. He plunged straight into the summer workshop, was sent to Japan to compete and ended the year by dancing the prince in The Nutcracker. Eventually, Geri was given a chance to choreograph which has since opened doors for him and won him several awards. Among these are the bronze medal in South Korea’s World Maskplay Contest for Morions, first place in the 2009 WifiBody Independent Contemporary Dance Festival New Choreographers Competition for Balikbayan (OFW), Best Choreography in the 2008 National Music Competitions for Young Artists (NAMCYA), Senior Division, for Bulag, Pipi at Bingi and most recently, the Trudl Dubsky Zipper Award for Choreography at the CCP Ballet Competition for Ili-Ili. Attention to detail is a trademark of any Gerardo Francisco choreography. In OFW, for instance, he thought of integrating the voices of his wife Jed and one of their kids into the music to simulate public announcements in an airport. BM lighting director Jimmy Villanueva, who edited the track for OFW, recalls how time-consuming it was, but that Geri knew exactly what he wanted. The meticulousness paid off. “When I won for that in the WiFi competition, that’s when I was able to say, wow, I can choreograph,” he shares. 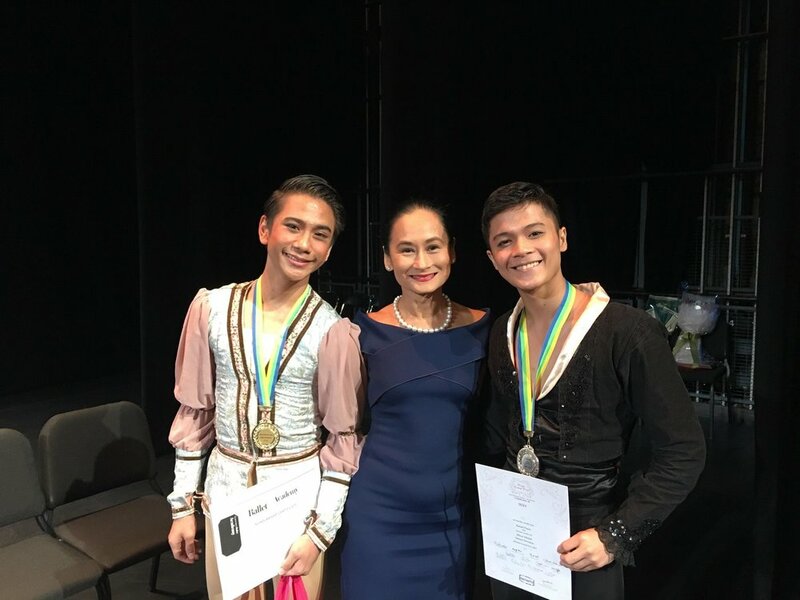 That he is so prolific as a choreographer is proven by the fact that he was able to make different pieces for six of the BM dancers who participated in the CCP Ballet Competition last year. For this particular set, he studied the capabilities of each dancer and then came up with a concept that would fit the dancer’s skills while also instilling his own style into it. Geri has many other ideas that he wants to flesh out and various works in progress that he wants to finish. Geri is a bundle of mixed emotions, which is how he will probably be until opening night. He grins, he frowns, then smiles again. After all the hard work, one thing is for sure: Gerardo Francisco’s Ibong Adarna is all set to fly.